Last night was a blast! It was the first time that both kids were old enough to really get the true meaning of Halloween. Candy! They sprinted from house to house making me think that I would have to start jogging to catch up. We had a big group of people, but the mob was very efficient. Trying to keep up with the kids at the end of the day can be tough. I decided to have some fun during the blue hour last night though and drag the shutter a bit. Making sure I had a clean sidewalk behind me I ran backwards snapping photos of my daughter as she ran to the next house. 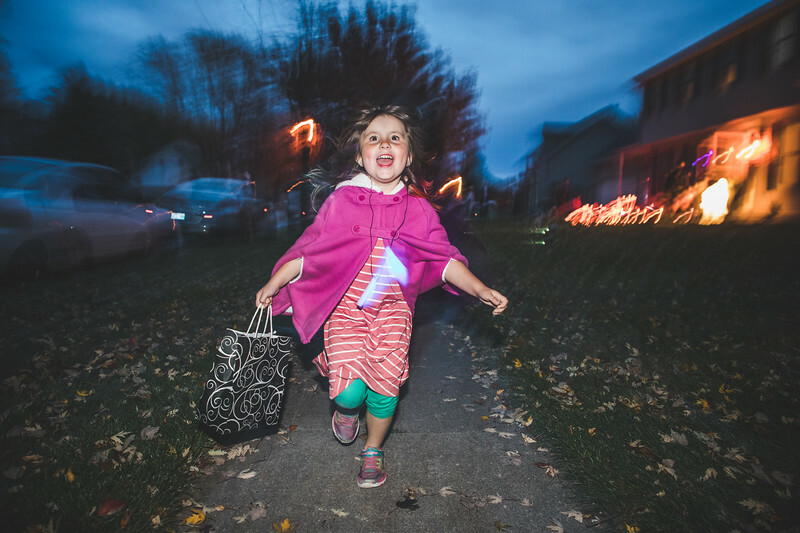 It is a fun way to show the speed at which she got her candy.